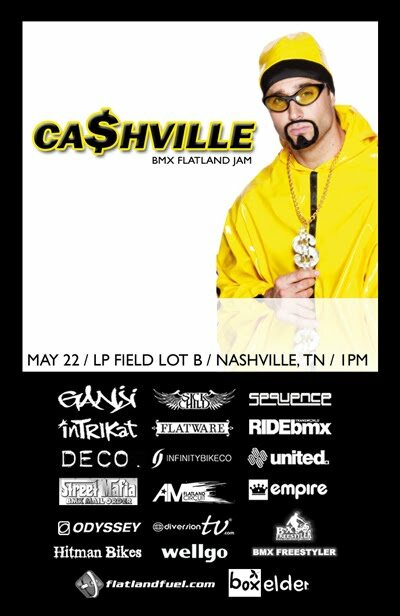 Ca$hville BMX Flatland Jam is back! No DJ's - No Spectator fees. Just you, your bike, and a chill attitude. HUGE and I mean HUUUGE parking lot! Family friendly atmosphere with sites to see in the Nashville, TN area. Bring the kids, my boys (8 & 3) will be there with the wife. Plenty of prizes to give-a-way for everyone. On the Go Market just in the next lot over.